Roman original derived from Greek statue style C4th B.C. 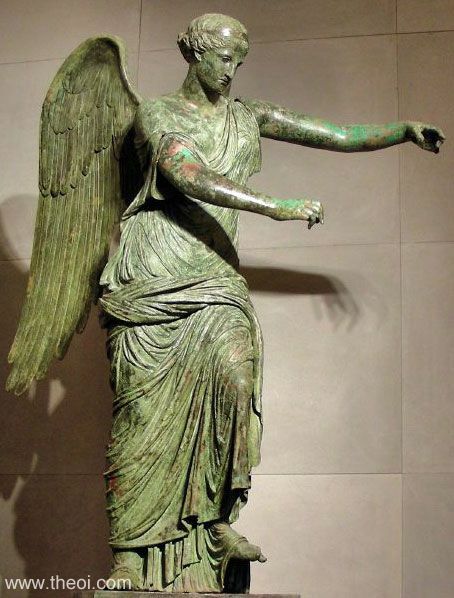 The winged goddess Nike (Roman Victoria) stands with arms outstretched holding a shield (missing). The statue was originally a Venus type Capua but a pair of wings were added to convert her into a Nike when she was gifted to the town of Brixia by Rome.